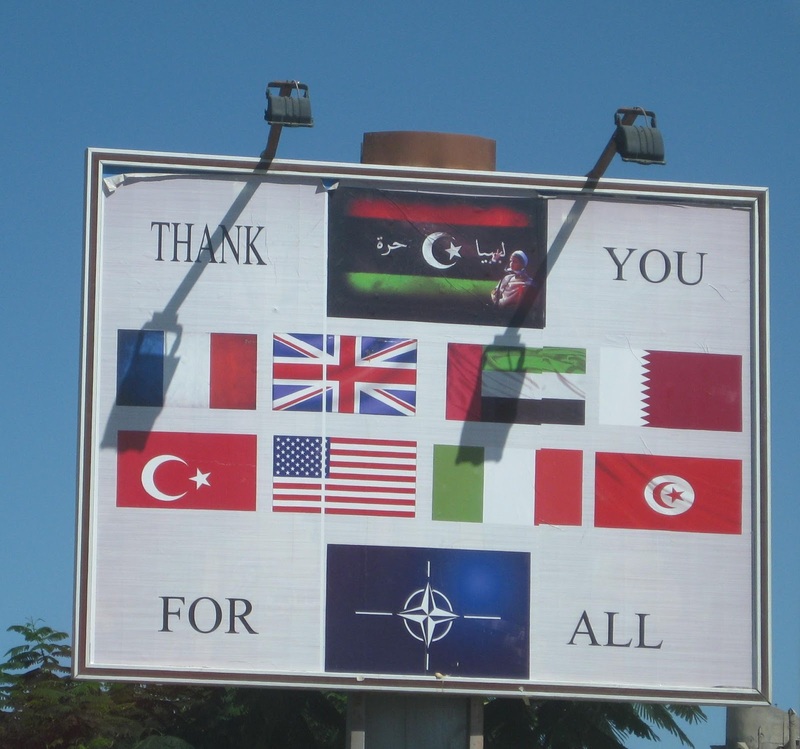 Engaging Strategy: The EU Refugee Crisis: All Quiet on the Libyan Front? The EU Refugee Crisis: All Quiet on the Libyan Front? As part of a growing series on the root causes of the EU Refugee crisis, and how the West could move to restore stability to the Mediterranean basin, today's article will take a look at the current situation in Libya. Since the 2011 NATO intervention the situation on the ground in Libya has deteriorated significantly. The internationally recognised government, based in Tripoli, struggled to exert its authority in the wake of the Gaddafi regime's collapse. Faced with a weak central authority the country slowly began devolving into regionalism, based on tribal loyalties. By 2014 the ruling General National Congress (GNC), elected in the wake of the first civil war, was becoming increasingly unpopular. Amongst other things it was criticised for being dominated by the minority Islamist faction, directly and indirectly supporting Islamist groups and attempting to impose policies in line with strict Islamic legal practice against the wishes of the Libyan people. The political crisis finally came to a head in the winter of 2013-14, with the GNC unilaterally voting to extend their mandate for a further year. Their refusal to stand down at the end of the mandated governing period was met by protests and demands for the establishment of a new elected governing body with popular legitimacy. On the 14th of February 2014 General Haftar, the overall commander of the Libyan Army at the time, appeared in a televised address and ordered the dissolution of the GNC. Elections would be held for a ruling council of deputies, and the running of the country would be conducted in the interim by a "caretaker government". As expected the GNC refused to comply with General Haftar's ultimatum, accusing him of an attempted military coup. The first fighting, in what can be described as the Second Libyan Civil War, broke out in mid May when the forces of the Libyan Army under General Haftar attacked the bases of several Islamist groups in Benghazi. A day later more forces loyal to the General forcibly dissolved and suspended the GNC parliament in Tripoli. In the following weeks much of the Libyan armed forces sided with General Haftar and a number of large pro-security forces protests were held, denouncing the GNC's support for the militias, seen by many of the protesters as destabilising the country. Elections were held soon after the military's move against the GNC, resulting in a landslide for the anti-Islamists and the formation of a new ruling Parliament. Although the turnout was low, at only 18%, due to the ongoing violence the result has been internationally recognised. The defeated Islamist political factions, mostly grouped around the Libyan branch of the Muslim Brotherhood, reorganised themselves as the New General National Congress (NGNC) and declared the election illegitimate. July of 2014 saw major moves by Islamist militias to capture Benghazi and Tripoli and substantially intensified fighting between Government and Islamist forces. By September the situation in the capital had deteriorated to such an extent that the national parliament was moved to Tobruk, conducting it's activities from a requisitioned Greek car ferry, the Elyros. October saw Islamist militias in control of Derna swear allegiance to ISIS' Islamic Caliphate. During the following three months the skirmishes, air strikes and bombings continued, some targeting the country's oil infrastructure. A diplomatic breakthrough was reached in January of 2015, with the UN support mission in Libya (UNSMIL) helping to bring about a negotiated ceasefire and talks between the NGNC and Government factions. Since the ceasefire fighting has continued between Government forces and ISIS, who have expanded their control over the area around the city of Sirte and carried out terror attacks in the capital. In early March General Haftar was re-appointed as head of the Libyan Army by the national Parliament and Government forces conducted an offensive against the ISIS-held town of Derna, in an attempt to drive the militants out. Later that month Ansar al-Sharia, one of the major Libyan Islamist militias, also declared allegiance to ISIS. General Haftar also announced that Benghazi would be retaken from the Islamist militias. The process of de-escalation between the Government and NGNC has continued apace, with an increasing number of local peace agreements coming into force. Interestingly, in August the people of Sirte revolted against ISIS rule, the ensuing reprisals killed 38 and the group was forced to threaten the use of poison gas against the population if attacks on their forces did not cease. NGNC (Green), ISIS (Grey), Local Forces (Blue), Tribal Militias (Yellow). What is surprising is the degree to which the situation on the ground in Libya has markedly improved this year, and how this improvement has been largely overshadowed by the war in Syria and the escalating Refugee crisis. Until recently the majority of refugees were being moved to Europe by sea, with people traffickers based in Libya providing boats to make the crossing to Italy. Despite the relative reduction in importance of the Libyan route, as tens of thousands of Syrian refugees have begun moving through the Balkans, the Mediterranean crossing still remains the second most popular route into Europe. Many of the refugees using the Libyan route have been displaced by conflicts in Africa, such as the ongoing conflicts in Nigeria and Eritrea, rather than the Middle East. As the country has slowly been moving towards a peaceful settlement, the long-term result of which will likely be a far more stable North Africa better able to deal with migration and the people traffickers who exploit refugees fleeing conflict, it is vital that the West now give greater support the UN peace process. In the near future we will need to make a substantial investment in the future of that country, in the form of development aid, technical expertise, equipment and training for their security forces. The Libyan government and people have avoided sliding into the kind of serious sectarian violence that would have seen their country join the ranks of a handful of other failed states in Africa. They have done much of the heavy lifting and compromising necessary to begin bringing their country back together but we, in Europe, need to give them the tools to finish the job. If sustaining and building upon the ceasefire agreements requires the deployment of a UN peacekeeping force then we should support such a proposal with finance, logistics and military means if necessary. Where the West can certainly help is with defeating the ISIS affiliated militias in control of the area around Sirte. Both the NGNC and Government have agreed that ISIS constitutes a common enemy, and both have focused substantial portions of their military effort, since the ceasefire, on attacking areas held by ISIS. Libya's lack of strategic depth, almost all of the population live along the coast, means naval artillery could be brought to bear, along with air strikes and commando raids in support of local ground forces. Striking a decisive blow against the Libyan branch of ISIS would do much to break that organisation's aura of invincibility, such a victory would be a propaganda coup for the West and Anti-ISIS forces in a battle where image is vital. Removing the "third force" from the Libyan internal conflict could also be used as a means of helping unify the country again, turning all forces against a common foe as part of a long-term peace process managed by the UN. It also seems that, unlike in Iraq, ISIS' presence in Libya is resented to by the local populations they control which greatly simplifies the problem. It just so happens that the UK has a near-ideal force to conduct the operations I have suggested, in support of the Libyan people currently occupied by ISIS militias. The Royal Navy's Response Force Task Group (RFTG) contains all the naval, rotary-wing and amphibious commando forces necessary, while air bases in Southern Italy could be used to conduct air strikes, as they were in 2011. A small military commitment and a short sharp intervention, co-ordinated closely with local forces, would be all that would be necessary to wrest control of the Sirte area from the estimated 5,000 ISIS militia members that currently occupy it. Rather than try to attack ISIS directly where they are the strongest, in Syria and Iraq, by striking and rapidly eliminating their "emirate" in Libya the UK could help further the ongoing Libyan peace process and win an important propaganda victory against ISIS' image of invincibility. In doing so we would make their cause less attractive and possibly hasten them to take rash and uncalculated action on their central fronts in the Middle East, in order to shore up their image. Of all the places where a Western intervention could succeed against ISIS, Libya is by far the place where such action would result in the greatest good at the lowest cost in lives. We would be honoring the commitment we made to the Libyan people in 2011 and investing in a plan that would result in a more stable, pro-Western and democratic North Africa in the long-term. The great strength of the UK's modern armed forces is our ability to strike at our enemies' weaknesses with great accuracy, delivering a quick rapier thrust rather than a series of crushing sledgehammer blows. Now is our opportunity to strike at ISIS' weakness in North Africa, to cut out the cancer before it has the chance to spread and do more damage to a state still shakily finding its feet again.